The Stanley Cup has made its last stop of the summer and is now ready to be engraved with the names of the 2017-18 champions. Cup caretakers, Mike Bolt and Howie Borrow, drove up to Montreal with the Cup on Sunday September 23, after spending a few days with the trophy at Kraft Hockeyville USA in Clinton, New York. The Cup was dropped off at the home of silversmith, Louise St. Jacques, who will do the engraving. She then brought it to her studio at Boffey Promotions. 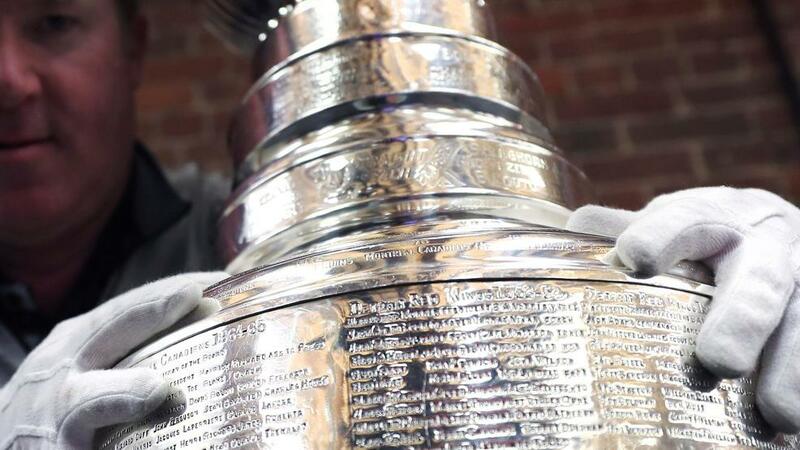 The Cup will be cleaned and polished and by the weekend it will have the 2017-18 Washington Capitals engraved onto a fresh bottom band. The Caps will be the first of 13 teams whose names will be engraved on this new band between now and 2031. 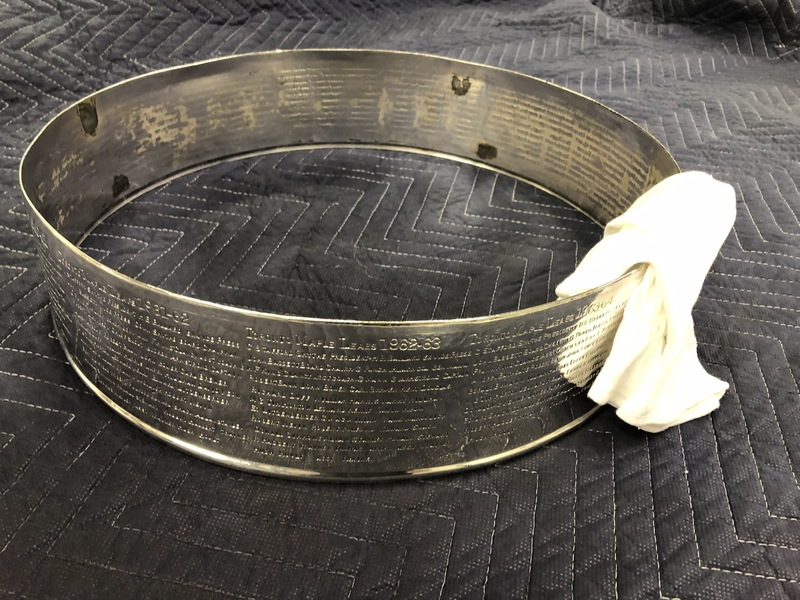 The current top band containing the names of the champions from 1953-54 through 1964-65 will be removed from the Cup and be on permanent display in the vault at the Hockey Hall of Fame in Toronto. That retired band will join the two other retired bands and will face the original Stanley Cup bowl in the vault. The Caps have already submitted their list of names to be engraved which will be the maximum number of 52. 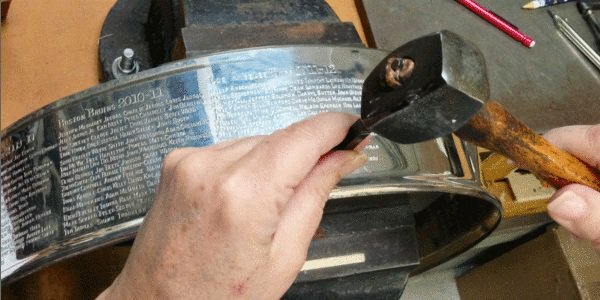 Before engraving, she will look at each name, count all the characters, and make certain they will fit in the allotted space. She will double check the spelling of each name to ensure there are no mistakes made. She uses a hammer and a series of letter stamps to inscribe each letter plus a line held with a piece of metal to keep each name as straight and level as possible. 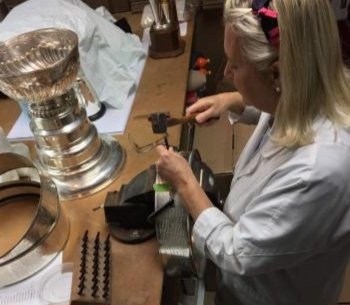 When St. Jacques gets the Cup, studio personnel disassemble it, separating the bowl, the five bands making up the Cup, and the base. The engraving then takes place on the designated band, with this year, a fresh new band being used. 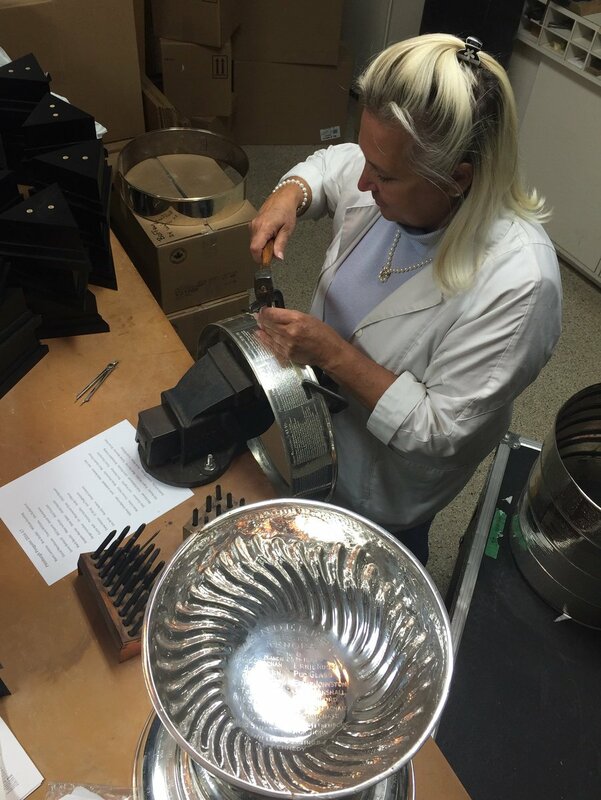 After the engraving process is done, the Cup is reassembled. 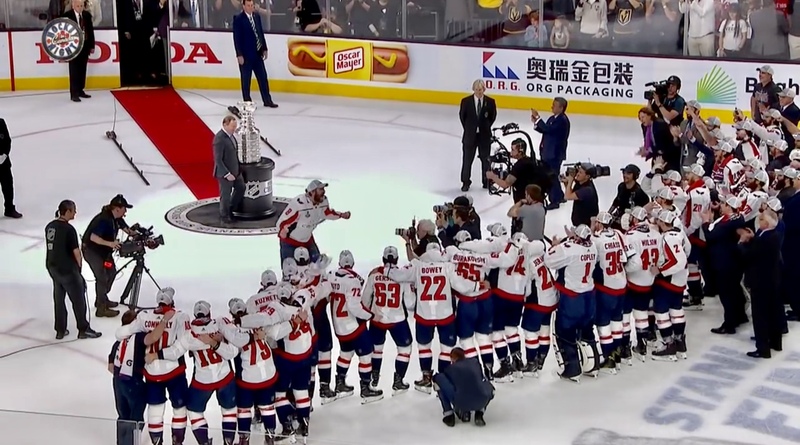 The first function featuring the newly engraved Cup will be the ceremony where the Washington Capitals receive their Stanley Cup rings. This will take place on Monday October 1 at 5:00 p.m. The Caps will donate a Cup ring to the Hall of Fame when they travel to Toronto to play the Maple Leafs on February 21, 2019. A band ceremony will likely be organized during that time frame. The Stanley Cup’s last summer function was appearing at the Kraft Hockeyville USA in Clinton, New York. Fans had the opportunity to pose with the Cup from 1:00-4:30 on Sunday September 23. Former NHL player, Nick Palmieri, a native of Clinton, New York who played most of his career with the New Jersey Devils, appeared at the event and met with fans. The Cup caretakers made one last stop prior to be delivered to St. Jacques. Bolt and Borrow stopped at the historic Club Sportif Montreal AAA where they met the President and General Manager of the club, Pierre Blanchet, for some last pictures of the Cup. Below are pictures from the Kraft Hockeyville USA celebration.. For further reading, see the NHL writeup. This entry was posted in News, NHL and tagged Howie Borrow, Kraft Hockeyville USA, Louise St. Jacques, Mike Bolt, Philip Pritchard, Stanley Cup. Bookmark the permalink. GOD BLESS THE WASHINGTON CAPITALS. AND ALL WHO RAISED IT!